The future of Canadian TV is bright --I make this statement after watching the brilliant new homegrown documentary Cracking Cancer which premieres on CBC-TV's Nature Of Things Thursday night at 8 on CBC TV. The subject is daunting enough --the advent of POG or Personalized OncoGenomics but this new technique in battling cancer is personalized by the true tales of patients. We first get to know and admire Zuri who is 33 and a new mother. She battled breast cancer shortly after giving birth and endured a mastectomy, radiation, chemo and hormone therapy. But 18 months later her cancer came back with a vengeance spreading to the liver and lymph nodes. Her long term prospects seemed bleak until she was given a standard drug for diabetes --it was hardly a new drug--but because of POG Zuri is currently cancer free and thriving. The director of Cracking Cancer , Judith Pyke, says the personalized approach was used to define what a breakthrough POG is for cancer survivors. "We started in December 2015," Pyke tells me on the phone from Vancouver. "Originally a letter was sent out to patients we wanted to film. It was a lot to ask but we found people who did want to tell about their condition. We filmed ten but only use seven here --we were looking for different aspects you see." Pyke and her camera crew filmed the patients not only during hospital visits but also at home with families..
"And we also filmed the oncologists specifically Dr. Janessa Laskin who is co-founder of the trial at Vancouver's BC Cancer Agency." The documentary opens with Zuri who Pyke salutes as "quite a fighter, so optimistic. And she has fared the best." Nori's cancer came from a mutation that caused rapid growth. The POG team used decades worth of scientific discovery --the goal was to isolate drugs which might block the growth of Zuri's cancer. Zuri was given a diabetes medicine combined with hormonal treatment and five months later her cancer seemed to have become virtually undetectable. We also meet Trish who is battling colorectal cancer and has multiple nymph nodes--she needs an eight-hour operation to eliminate a tumor on her spine. Katya is in Styage Four for breast cancer and needs help quickly. Then there's Marcy who is battling lung cancer and thinks she has found the right drug for her condition. Karl has liver cancer. which was diagnosed very late. And there is a wonderful little boy Sagar who has a unique condition which mimics cancer. "Of course we didn't know in adevance what would happen to any of them," Pyke explains. "Of course you get emotionally involved. It was an incredible journey." But how to explain all this to the average viewer? Luckily NOT's long time host. Dr. David Suzuki joins the team to do exactly that. Now based in Vancouver Suzuki more often these days fronts the weekly hours. But here he uses his experience as a geneticist to ask the tough questions. Suzuki interviews Dr. Marco Marrra, one of the leading genome scientists, who explains the procedure in terms anyone can understand. Pyke thinks the hour is basically a study in courage. The outcomes can't be revealed here but there's sorrow as well as triumph. Today's TV hour is actually 42 minutes--meaning heroic editing was needed to preserve the content but keep the pacing. Pyke credits ace editing (Alan Flett) and her director of photography (Todd Craddock). Pyke wrote it with Helen Singer and Sue Ridout produced for Dreamfilm Productions. The result is a model of how to engage viewers without sacrificing quality. 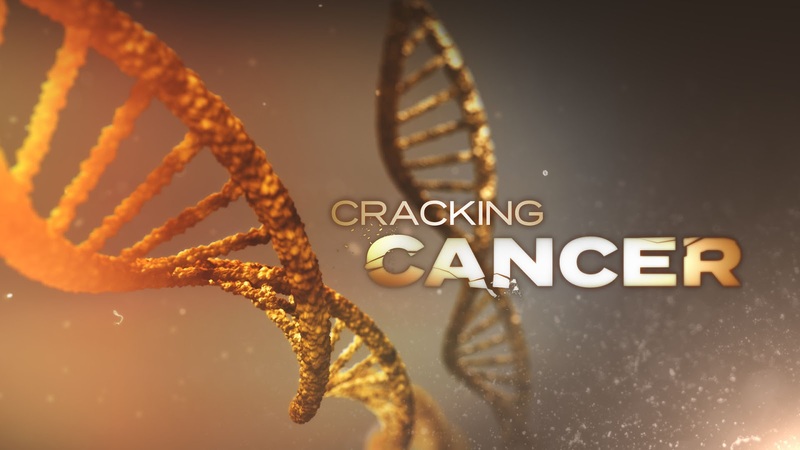 CRACKING CANCER PREMIERES ON CBC-TV'S THE NATURE OF THINGS THURSDAY FEBRUARY 23 AT 8 P.M.